An important aspect of the globalization process is foreign direct investment (hereafter FDI) which underlies the fragmentation of supply chains and the emergence of global companies. Time and effort have been devoted to develop a satisfactory understanding of the rationale and the mechanisms through which the benefits for the host of FDI take root, leading to theoretical support for a positive impact from FDI; e.g. through increases in total factor productivity and accelerating capital accumulation. This led to the expectation that the gains from FDI in terms of economic growth and business performance would be easily identified, allowing the debate to then focus on the scale of these benefits. However, consistent positive empirical effects have proved to be elusive. Rather, recent research at both the overall and firm levels has converged on the view that the effect of FDI on the host economy is conditional. Hence in one stream, the overall effect of FDI is argued to depend upon whether recipient countries have attained minimum levels of human capital; financial development; institutional quality. In the other, the firm-to-firm effects of FDI operating through horizontal and vertical spillovers, are considered to be conditional upon the form of inter-firm linkages, with vertical dominating horizontal and backward forward linkages. Here, we take stock of the evidence, treating overall and firm-to-firm effects jointly, through a comprehensive systematic quantitative review of these two bodies of empirical evidence within a comparable empirical model. The impact of FDI has typically been identified at the micro-level by looking at firm-to-firm evidence, usually restricted to a single country, about spillover effects on firm productivity and performance from foreign to domestic competitors within an industry (horizontal spillovers) or through supply chains (vertical spillovers). These studies typically have little to say about the overall impact of FDI. 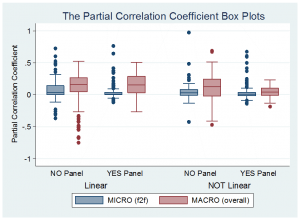 In contrast, macro level analyses have a cross-country perspective and therefore need to overcome more cogent methodological problems in terms of endogeneity and omitted variable bias. We devote equal attention to the two bodies of evidence (overall and firm-to-firm; or micro and macro) because we think that taken jointly they can further improve our understanding of FDI. The latter throws light on private returns and localized firm-to-firm effects, while the former can reveal important features of social returns and the net effects of FDI inflows. Our analysis draws on meta-regression techniques, an empirical methodology for summarizing and distilling the lessons from a given body of econometric evidence. For this exercise, we hand-collected a data set covering 565 micro (or firm-to-firm) and 551 macro (or overall) level estimates of the effects of FDI on performance, from 104 and 71 empirical primary studies, respectively. We also constructed variables covering 13 features of these econometric estimations with respect to, among other things, various features of sampling and econometric methodology. One of our main findings concerns the distribution of the FDI impacts between overall and firm-to-firm effects. 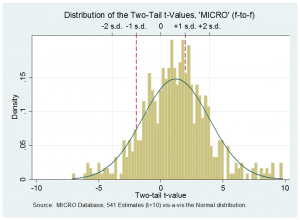 We find that across our sample of studies, 44 percent of the firm to firm are positive and statistically significant; 44 percent are insignificant; and 12 percent are negative and significant (Figure 1). On the other hand, 50 percent of the overall effect estimates are positive and statistically significant, 39 percent are insignificant and 11 percent are negative and significant (Figure 2). In these studies, the overall spillover effects are at least six times larger than the firm-to-firm ones. This suggests that by focusing on external effects, say through imitation, within an industry or up and down a supply chain, the micro studies miss important broader spillover effects across the entire host economy. The second set of results tries to identify the reasons for the observed variation in the estimated effects of FDI. 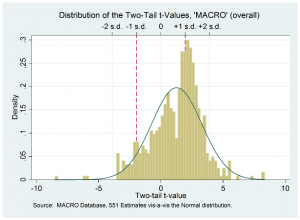 The choice of statistical method and specification are revealed as more important factors in macro studies than in micro, because the latter often uses more sophisticated empirical models. There is evidence that empirical specifications controlling for panel unobserved heterogeneity report significantly smaller effects of FDI and the same applies to those studies that take into account the interaction of FDI with, for example, R&D expenditures, trade openness, human capital, and financial openness (in macro studies). 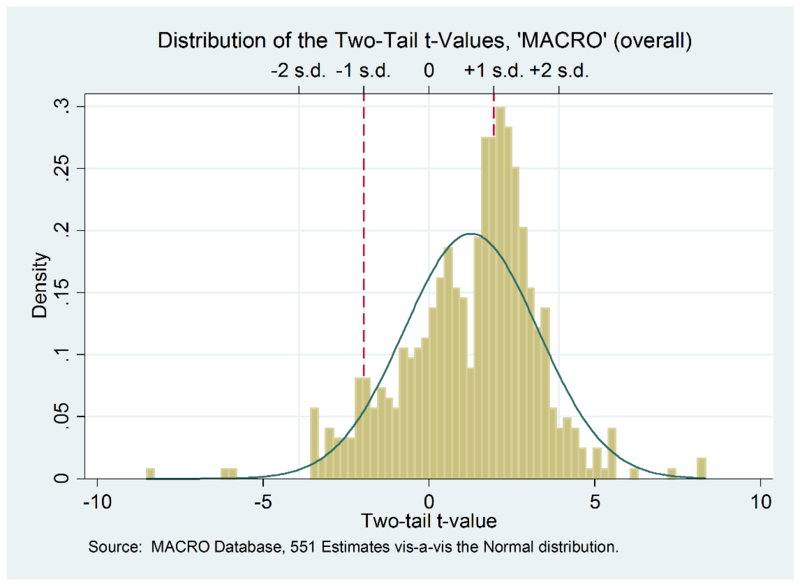 Macro studies have attempted to overcome methodological challenges of endogeneity and omitted variable bias often via interaction terms so as to identify potential channels. 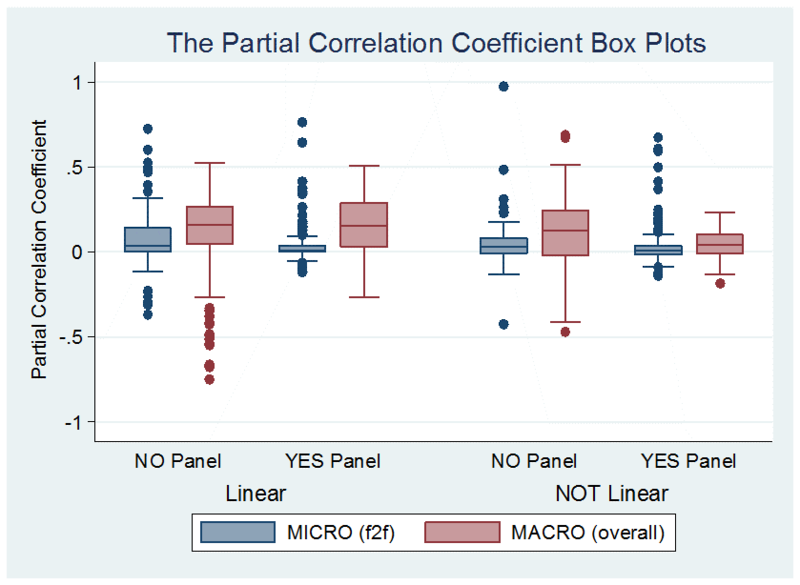 Figure 3 plots partial correlation coefficients (a measure of the impact of FDI on growth) on the vertical axis against macro effects (in red) which can be seen to be larger than micro effects (in blue), though the difference is more muted for, in this case, panel data estimates. The third main result is that FDI spillover effects are heterogeneous through time and countries, even when controlling fully for statistical method and specification. Can one find any systematic patterns for time and country heterogeneity? Interestingly, we do find country-specific differences, but no systematic differences across years. For example, if we look at a given year in the middle of the sample (e.g. 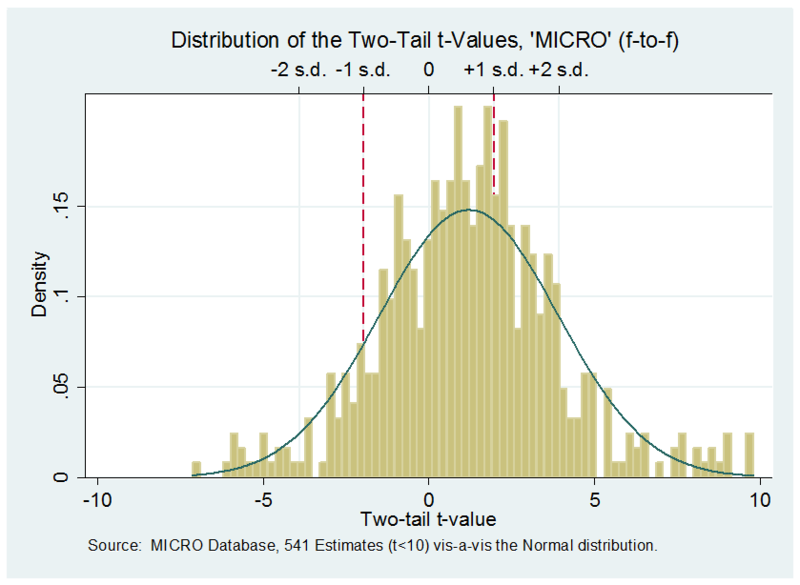 1995), the micro effect in China, in Ghana and in Ukraine is respectively about 7%, 12% and 60% smaller than the macro. The main lesson from the literature, namely that the spillover effects of FDI are conditional on countries having reached certain thresholds with respect to human capital and financial/institutional development, is disjoint with the finding that the effects are larger for countries below such critical thresholds. We posit that the gap between private and social returns, albeit largely missing in most of the current academic and policy discussions, may provide an explanation. Private returns to FDI are higher in low income countries, but because of institutional deficiencies, infrastructure problems, pervasive rent-seeking and/or generalized lack of competition, the benefits from these investments projects are highly localized. This wedge between the overall and micro effects is important for the dynamics and distribution of the benefits from globalization but has received, as our analysis suggests, insufficient attention in the literature so far. This blog post is based on Bruno, R., N. Campos and S. Estrin (2017), “The benefits from foreign direct investment in a cross-country context: A meta-analysis”, CEPR Discussion Paper No. 11959. A longer version can be found there: http://blogs.lse.ac.uk/gild/2017/09/25/what-do-we-know-about-fdi/.